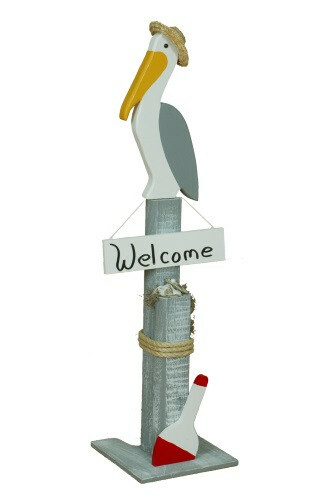 Welcome your guests with our beautiful Amish hand-crafted and painted Pelican Decorative Pier Post with welcome sign. Your guests might just think they are at the beach or lake when they are welcomed with this unique sign at your entryway, porch or patio! It also makes a great feature by your pond or lake.